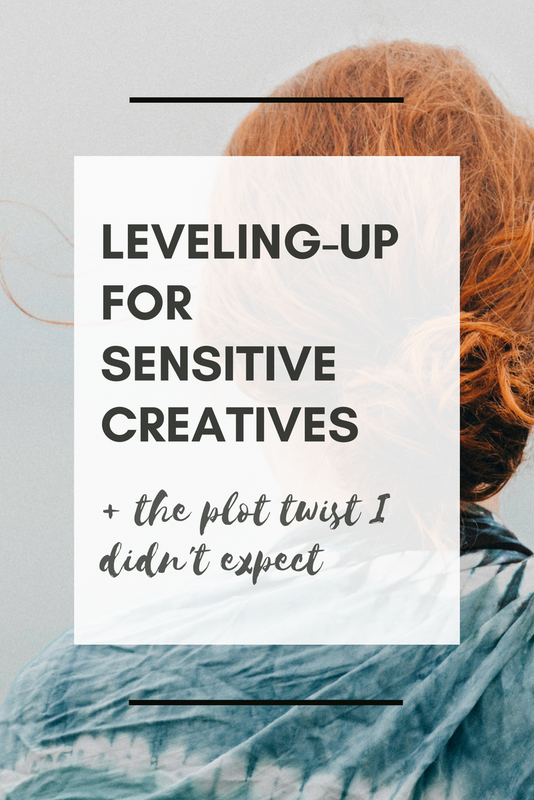 Leveling-Up For Sensitive Creatives - The Plot Twist I Didn't Expect — Andrea O.
Leveling-up is a big topic (and honestly, I could go on forever about leveling-up, mindset, and how to propel forward both personally & professionally) but to boil it down, it's simply one word: expansion. You're expanding your purpose, your impact + effectiveness and with that, everything else has to expand, too. Your self-awareness, your mindset, your consciousness, your energy (both emotional and physical). You need to expand into the new self you're growing into, and it’s a gorgeous (but sometimes uncomfortable). A seed has to crack open to let a tree grow. When I went through this (and as I continue to expand,) I think it's safe to say that I'm feeling it all. I'm feeling the height of the highs & the low of the lows, the wins, the losses, the emails that don't get delivered, the upgrades to free 2-day shipping, all of it. 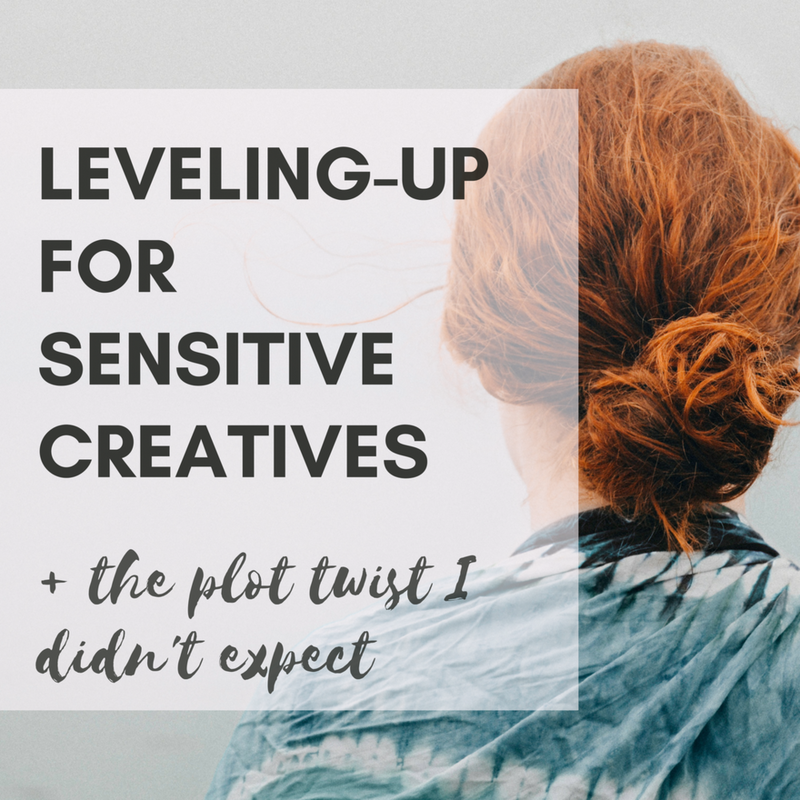 Because sensitive creatives feel it all. Now, we know by now that I'm essentially a creative peach that's been tossed in a backpack for lunch: I'm a little bruised, a little messy & delicious. On top of that, I'm game for a challenge, especially if it challenges my growth and mindset, so pushing my growth & leveling up was really exciting to me. Challenging yourself is a lot more fun when you're actually doing a good job, but when you're struggling, it's not as romantic as it sounds. It looked a lot more like me, wide-eyed in front of a too bright computer monitor, eyes darting around the screen wondering "why won't this make sense!?" and it wasn't a great time. I wanted to level up, I wanted to expand my potential, and I was sure that I was doing the right things - they all made sense, but they weren't moving me forward the way I saw them work for others. I was journaling, meditating, strategizing, implementing, eating well, sleeping, all the things they tell you not to forget. I was nailing them, all these "gamechangers" that everyone told me would work, and they just, well, weren't. It was really hard to not feel like a failure, but I was really determined to figure this out & make it work for me, so I decided to start gathering information about it. As much as it was super tempting to wallow & let my feeling-brain feel defeated, my logical brain knew that I had to be missing something (and since my main interest over the past two years has been learning about online business, I knew that it was probably right under my nose). Then, the signs started seeping in: I started seeing ads for free communities & FB groups, my favourite podcasters were talking about the importance of connection for creatives, I started getting mentioned in online communities, all kinds of things. It started to seem pretty obvious that I overlooked a big part of growing & expanding both personally and professionally, and I hated it. I understood how someone could have overlooked that, y'know, if community was their thing, but it's just not my thing, so it couldn't be that. How could I, the sensitive, introverted creative, be missing other people when I knew I needed to focus & maintain my energy? I couldn't fathom how being more social could be helpful, even if It was becoming undoubtable that I needed to be around people who understood me + what I was going through. In person events were a hard no from me, not only are those way more tiring, but no matter how hard I looked, I couldn't even find any in my hometown, so that obviously wasn't going to work. But, I kept my mind open + tried to manifest some solutions to this block I had in my personal growth, and there it was, shining down on me in my Facebook sidebar. A group. I started joining as many Facebook Groups as I could find. If it sounded like my kinda place or my kinda people, I was there answering questions & requesting to join. It helped. It was a low-pressure community that I could step away from anytime I felt the least bit overwhelmed, and I enjoyed the fact that I could surround myself with the energy of other people trying to level up and live their best life. The support & sense of community did help, everyone was right, but even though I found groups I enjoyed, I never quite found the right fit. Don't get me wrong, I still really benefited from the communities in those other FB groups, but I knew that it could be even better. Because, yeah, at the end of the day, I fit in with all of those groups, but none of the groups really felt like they fit me. All of the stuff that comes with being highly sensitive & highly creative, plus the drive to live your most effective + effervescent life wasn't really there for me, so I knew I had to try something new so I could share my win with my fellow dreamers & makers. I made a FREE Facebook group called North Collaborative just for sensitive creatives looking to be more effective & effervescent. We're working together to lift each other up, offer support & be seen, and I'd love for you to join me. It's exactly what I needed when I was a struggling creative, and it would have been a great alternative to piecing together my community like a collage, so if it feels like a fit, I hope you join me. We hang out on Facebook, and as your host, I like to go live, chat about my growth, answer your questions & start conversations, but I'm not the only one. I love love love opening the floor to talk all things growth, personal development (or, you know, just life) to all of my members, and love watching them share & be supported. It's still a new group, so it's a small community, but watching it slowly grow over the last few weeks (when I launched it to my podcast + email people) has been so wonderful & completely joyful. I've included some sign-up links to join me through this post, but if you missed them, you can sign up right here + join our tight-knit group of sensitive, creative dream chasers. join our free facebook community!!! My advice: if you're pushing yourself to grow, but you're feeling resistance, question everything. Take chances. Try something new. Zoom out + try to see the big picture, and ask for a solution to become clear to you. IT might be a bit of a wakeup call, but ultimately, you control your own life, so don't be afraid to pursue the solution (however it may look). Follow your intuition, whether that means taking more time to rest, trying a new strategy, focusing your energy elsewhere, or finding a community & embracing support, like it was for me. Don't push back. Open yourself up to your solution + take a chance on yourself.